We are very excited to have been asked to part of this fantastic new venture. 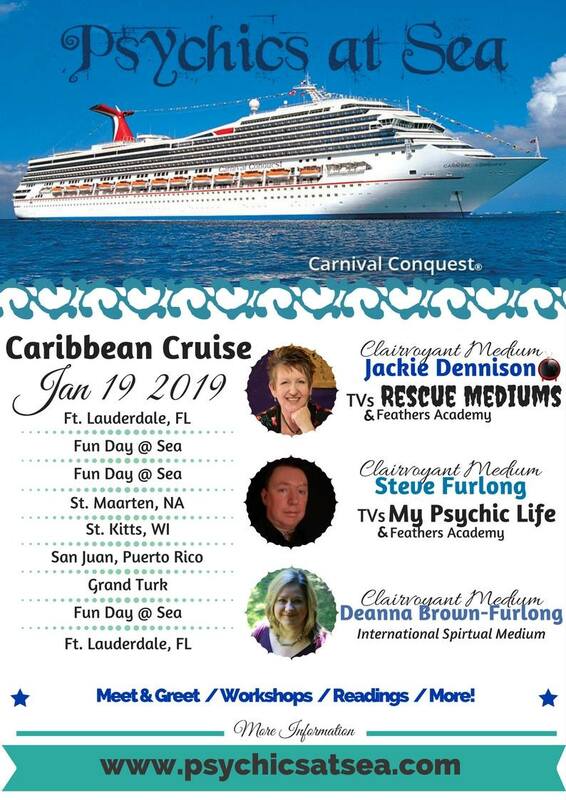 Life on the ocean wave certainly holds a different meaning as we will be sharing the knowledge of spirit on this Caribbean Cruise alongside our very good friend and fellow Medium Deanna Brown-Furlong. We will even be holding a paranormal investigation on shore at one port of call and we cant wait.! Spirit Guides & Angels. Aura and Aura Photography. Spirit Rescue Mediumship. Psychic Tool kit.